We are the famous company known for providing Animal Feeds Testing Service to the clients. Our professionals are experienced and render this service with utmost perfection using advanced tools and technology as per market norms. 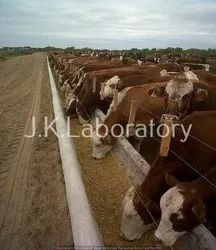 We render Animal Feeds Testing Service within estimated time frame. 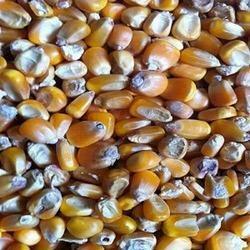 We are one of the foremost firms of Cattle Feed Testing Services. These services are enormously well-liked in the market for their nominal rates and consistency. Due to high demand, we render these services in diverse terms and forms. Besides, we render these services at nominal costs to our customers. Amino Acid, Ash, Gravimetric, Calcium, Chloride/Salt, Carbohydrates, Fat, (Ether Extract), Fat, Acid Hydrolysis, Fiber, Crude, Moisture, Minerals, Microscopic Analysis, Microscopic, Melamine Detection, Phosphorus, Protein, Kjeldhal, Pepsin Digestibility, Kjeldhal, Sugar, Total, TDN, (Total Digestible Nutrients Calculations), Calories, Calculations, Etc. With our rich industrial experience, we hold expertise in offering Animal Feed And Pet Food Testing. The creative team of professionals is rendered these services according to the client’s requirements. Apart from this; we are providing these services at very affordable prices within the stipulated period of time. Owing to the rich industry experience, we are able to render Animal Feed & Pet Food Testing Services. Breastfeeding should begin within the first few hours of delivery, if possible, by allowing the baby to rest skin-to-skin, on the mother's chest. During this time, most infants are alert and interested in nursing. In the first few days after delivery, the woman produces a small amount of a yellowish milk called colostrum. - Dog Feed & etc. Oil cakes, Poultry Feed, Shrimp Feed, & Fish Feed.We are NABL Accredicted lab. Under the brand name Santosa, Hatsun Agro Product Limited manufactures and sells cattle feed to the farmers based on their need.